HMMMM, WHERE DID I LEAVE MY PANTS? Life just keeps getting better and better. At a writers’ conference in Bellingham, Washington, I got to walk on stage and receive a blue ribbon for THE EX LOTTERY. My novel received the Chanticleer Reviews’ Chatelaine Award for Contemporary Romance—and I got to do a happy dance on stage in very, very high heels. I think I was as proud of walking across the stage in those heels—and not falling—as I was of winning the award. My normal work shoes are flip-flops or no shoes at all. My husband took the photograph. He said I moved too fast and so he only got my back and my fluffy hair, but walking fast is the secret of walking on stilts. Still, how great is that THE EX LOTTERY won an award named Chatelaine? The novel about a young woman whom travels to Ireland to buy her own castle is a winner in a contest named after the mistress of a castle. Love it. And I learned so much at the conference. I sat shoulder-to-shoulder with other award-winning authors. For example, New York Times Bestselling Author Robert Dugoni was the key speaker at the awards banquet. All the authors shared information and ideas whether we were sitting in a group or meeting for cocktails. (By the way, I highly recommend the Huckleberry Vodka Lemonade if you ever travel to Bellingham.) When I returned home, I decided I should rework my cover. I was told to note the book’s awards with a gold sticker on the front, to include that I’m a bestselling author, and to add words that told more about the book’s story. And to do all this in a font large enough to read when the cover in stamp-size… Hope my readers have coke-bottle reading glasses to magnify all this new information. I was told over and over that readers are very visual and the book cover leads to more sales. I get it. I’m a photographer too so I love the images on books… But I’ll admit, I’m finding this new design a bit impossible so it’s a work in progress. So we will see. For now, it’s enough that THE EX LOTTERY has won awards from reviewers and readers. Thanks again Chanticleer Reviews for the award and the fabulous conference. For more winning books, go to http://www.chantireviews.com. What an amazing way to end my birthday month. (Birthdays are celebrated for a month, right?) 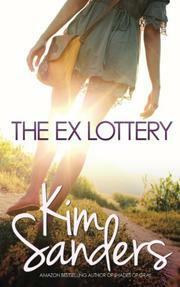 THE EX LOTTERY won first place in the New England Readers’ Choice Awards for long contemporary romance. The New England Chapter of the Romance Writers of America (NECRWA) sponsored the competition and announced the winners Saturday morning during the 2015 Let Your Imagination Take Flight awards banquet in Burlington, MA. And THE EX LOTTERY won! See a list of all the winners and finalists at http://0092d63.netsolhost.com/blog1/. At our late lunch, my friends asked, “Did you win?” And I admitted that I’d not received an announcement so I thought—probably not. But I was still happy. After all, I was a finalist with authors like RITA winner Nancy Herkness and USA Today Bestseller Sophie Moss. And the NECRWA is the RWA chapter that boasts Kristan Higgins as a member. So being a finalist was almost as wonderful as winning—almost. Saturday night, I went to the Asheville banquet. My husband and I danced and laughed with all our wonderful friends. A wild turkey even snuck up to see what all the fuss was about when we stepped outside for a moment. And we shared a little bread for all her trouble. When my husband and I returned to our hotel room, I decided to check my email one last time. And there it was—an email congratulating me for winning. I may or may not have done a small happy dance in my pajamas—and it had nothing to do with the fact that I had finished off three glasses of wine at the dinner-dance. I was just still in dance mode. My husband offered to take me to a local bar for a celebratory drink—to drag our friends out again—but three glasses of wine is two passed my limit. So I posted on social media and pulled up the latest Nora Roberts on my Kindle to celebrate my new career success doing what I love best—reading romance. Thanks again, readers. It’s wonderful when reviewers and critics praise a book, but to a writer, the most important opinion is that of a reader. The Ex Lottery is a finalist in the New England Readers’ Choice Award Contest for long contemporary romance. I was a little nervous sending my Southern girl protagonist to the North for a competition, but apparently, Tory won the readers’ hearts. Actually, it may have been Tory’s adventures in Ireland that won their hearts. Whatever the reason, I was thrilled to receive an email from the contest coordinator congratulating me with the news that The Ex Lottery that was a finalist in this competition sponsored by the Romance Writers of America—New England Chapter. Entering book contests can be stressful. I approach the stress by simply assuming that I will not win, but that I will learn something new from the judges that will make me a better writer. Like every author, I insert a little of my soul into every one of my books so having the stories judged is difficult. The strategy seems to have worked for me. The Ex Lottery won the first contest I ever entered—long before I finished editing the final draft—and was reviewed by a literary agent. I remember doing a little happy dance as I walked along the riverfront of Augusta—where I happened to be when I received the news. The Ex Lottery was also honored with a featured review in Kirkus Reviews magazine and given top ranks by judges in The Writer’s Digest contest. But this year’s New England contest is very special to me because readers are judging the initial round of the contest. If readers love my book, I know I am doing something right. The winners of this New England contest will be announced on April 25th at a breakfast awards banquet during the 2015 NEC Conference entitled Let Your Imagination Take Flight in Burlington, MA. I wish I could attend, but I’ll be at another meeting in North Carolina. But I’m keeping my fingers crossed. I would love to win first place, but even if I don’t take first place, I feel I’ve already won by making it into the finals. 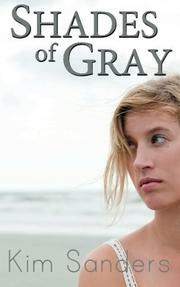 Thanks New Englanders for loving a Southern girl protagonist who was unlucky in love, but lucky in numbers. See a list of all the finalists at http://0092d63.netsolhost.com/blog1/. I won the lottery when I met my husband. Seriously. The man could have walked straight out of the pages of a romance novel. Paul is a physician who saves lives—mine included. (Flashback to the day my son was born, and the resident anesthesiologist overdosed me, sending my blood pressure to 60 over zero. My husband’s quick orders brought me back off the ceiling and into my body so I could hold my son that night.) Paul’s smart—bring up any topic and he can spout back facts. (Okay, sometimes this is annoying. Especially when it might be my area of expertise and when I research further, he is usually right.) And from the day we met, he has been a romantic. (When we were dating in college, sitting among friends at a local bar, he would pass me notes written on paper napkins with words like “I love you madly” and little drawings. (Did I mention he is a great artist too?) He’d sing to me when we’d take long driving trips and never complain once when I’d join in off key. (Yes, he sings too. In college, he played Jesus in Godspell and was offered a position with the National Opera Company after graduation.) The man never fails to amaze me. His support is the reason I now have a career in romance writing. He convinced me to publish my first novel and pushed me to release the second one. Last year, just before Valentine’s Day, I was struggling with revisions of The Ex Lottery. Now, you need to understand that my husband doesn’t read fiction. Seriously, no fiction. (Does this mean he has an actual flaw?) We’ve been inseparable for thirty-seven years, and during that time, even my kids joke that their dad is still trying to finish the one novel he began when they were very young. Turns out that so-called novel he brings on every vacation isn’t even fiction—it’s a nonfiction account of a man’s sailing adventures. My husband would rather read a book on building a computer from scratch than read fiction. But he knows I love fiction. When we met, I was lying by our apartment swimming pool in a white bikini reading a romance novel. He and his roommate were doing fancy dives to impress me. I was too absorbed in my book to notice. Apparently, they had been playing out this routine for weeks. Finally, he walked up and asked, “Don’t you ever look up from your book?” I looked up and smiled, and he invited me to a party. We got married a year later—a week before he started medical school. So over the next few months, I tweaked The Ex Lottery, a book about a woman who uses the numbers her ex-boyfriends’ dumped her to buy a winning lottery ticket. I formatted it and released the book—and the reviews from editors, Kirkus Reviews, Writer’s Digest, and readers from several countries have been even better than my last book. Sometimes I like it when my husband is right. But he should know, I’m the one who won the lottery the day I met him. My neighborhood has a wonderful tradition. On Fridays, if we are in town, we walk to our sidewalk restaurant and enjoy a cup of coffee and a morning chat. But there is something missing—statutes of naked men. When I visited Florence, Italy, I had my morning cappuccino in the piazza with a beautiful view—men with abs of stone and rock hard buns. What a way to start a day. We have amazing artists in our neighborhood. I bet with the right models, they could create some wonderful statutes for our sidewalk café. I’ll volunteer to be on the model selection committee. Copyright 2014 Kimberly Sanders Images and articles featured on this site are all rights reserved unless otherwise indicated. If you are interested in using an image or story, please contact admin@kesanders.com.